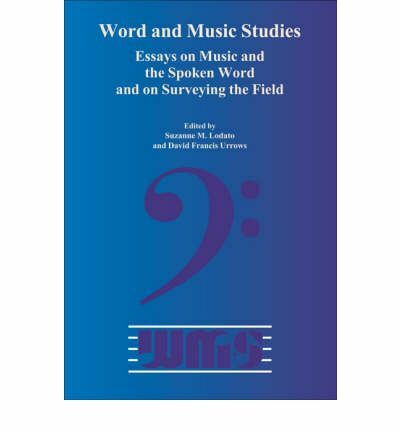 The nine interdisciplinary essays in this volume were presented in 2003 in Berlin at the Fourth International Conference on Word and Music Studies, which was sponsored by The International Association for Word and Music Studies (WMA). The nine articles in this volume cover two areas: "Surveying the Field" and "Music and the Spoken Word". Topics include postmodernism, philosophy, German literary modernism, opera, film, the Lied, radio plays, and "verbal counterpoint". They cover the works of such philosophers, critics, literary figures, and composers as Argento, Beckett, Deleuze, Guattari, Feldman, Glenn Gould, Nietzsche, Schubert, Strauss, Wagner, and Wolfram. Three films are discussed: Casablanca, The Fisher King, and Thirty Two Short Films About Glenn Gould.